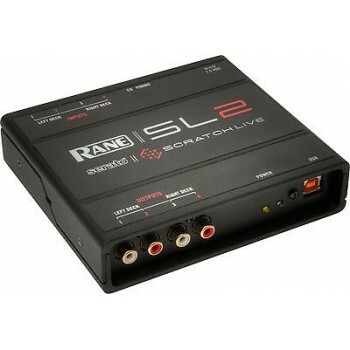 CD / Phono input switch on the SL2 box. Hotter 3 Vrms input and output. 44.1 or 48 kHz sample rate selected in software. ASIO / Core Audio drivers for 3rd-party support. Smaller and more compact die-cast design. The Rane SL2 USB interface connects one or two standard vinyl or CD turntables to your computer using a single USB cable and audio connections to line inputs on your DJ mixer.